A butcher might cure country cured hams only using salt or with a combination of salt, sugar and saltpeter. Hams must cure for seven days for each 1 ½ lb., according to the Virginia Cooperative Extension. After they are cured, you must cook the hams. 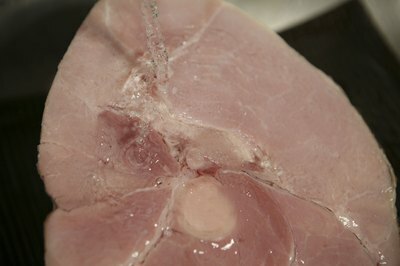 Many chefs prefer to remove excess salt from a country cured ham. 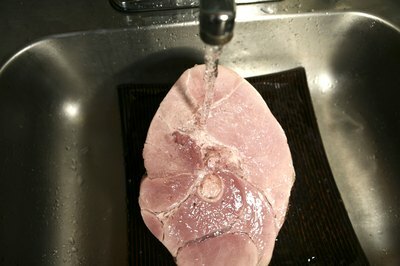 The simplest method for this is to soak the ham and then scrub it. Place the unwrapped ham in a large, clean tub. Preferably, the sides of the tub should be higher than the ham. Set the tub in a sink, and fill it with cold water. The water level should be high enough to cover the ham. 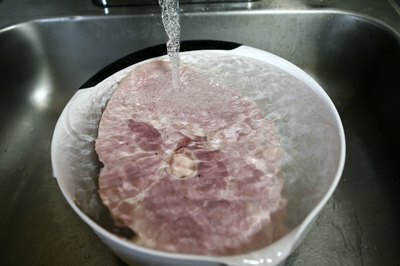 Allow the ham to soak in the cold water for a total of at least four to 12 hours. 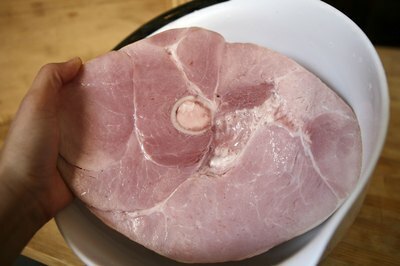 Some people might prefer a less salty ham and soak it for at least 10 to 12 hours, or even overnight, according to the Virginia Cooperative Extension. Soak your ham according to your own taste and time constraints. It does not require refrigeration. Drain the water out of the tub about every two hours and refill with fresh, cold water. Drain the water again after it has soaked for the desired amount of time. 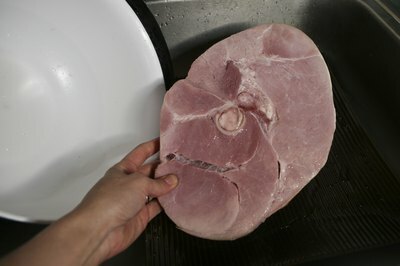 Take the ham out of the tub, and place it on a platter. Set the platter in the sink. Run cold water over the ham. 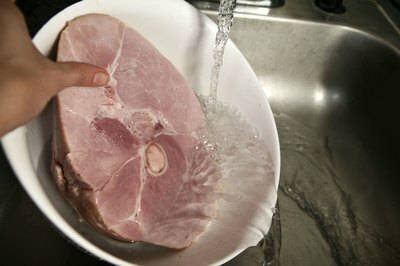 Scrub the ham using a clean brush with stiff bristles while the water is running. 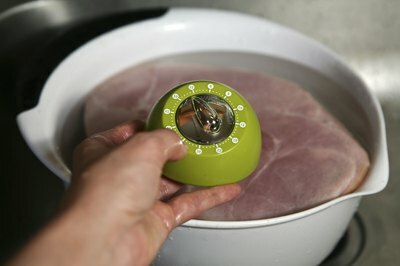 Periodically turn the ham over onto different sides so that you scrub the entire ham.